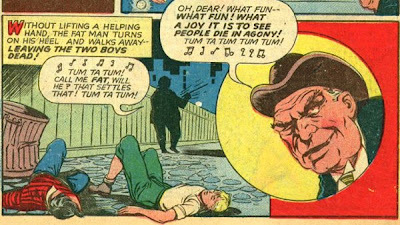 This time we have a panel from a Bulletman story, featuring one of his patented 'way-too-brutal-for-a-children's-comic' villains. Yeah, in case you wanted to know, he threw the two street kids a poisoned quarter, and while fighting over it they both died. Again, this is a children's comic.